If you need to display dynamic text in an e.g. confirmation dialog, in which you need to place several variables (different for each popup) you can use function module POPUP_TO_CONFIRM and the parameter table. The only thing you need to do is to prepare an internal table filled with parameters and their values. This table is then passed to the function module which will use it to replace the variable place-holdes in the text. co_matnr           TYPE matnr VALUE '123456789'. 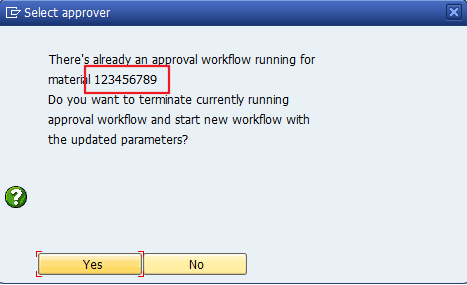 This entry was posted in ABAP, ALV, Development, Dynpro and tagged POPUP_TO_CONFIRM by Spider. Bookmark the permalink.